Driving on the road is a sketchy thing at times, so why are you trying to make it harder on yourself by fumbling around a chaotic UI with endless buttons and things to look at? To combat the dangers of an overbearing interface, Spotify introduced Car View for all Android users this week. Car View is a super minimal and very simplistic UI for when you’re driving around town. 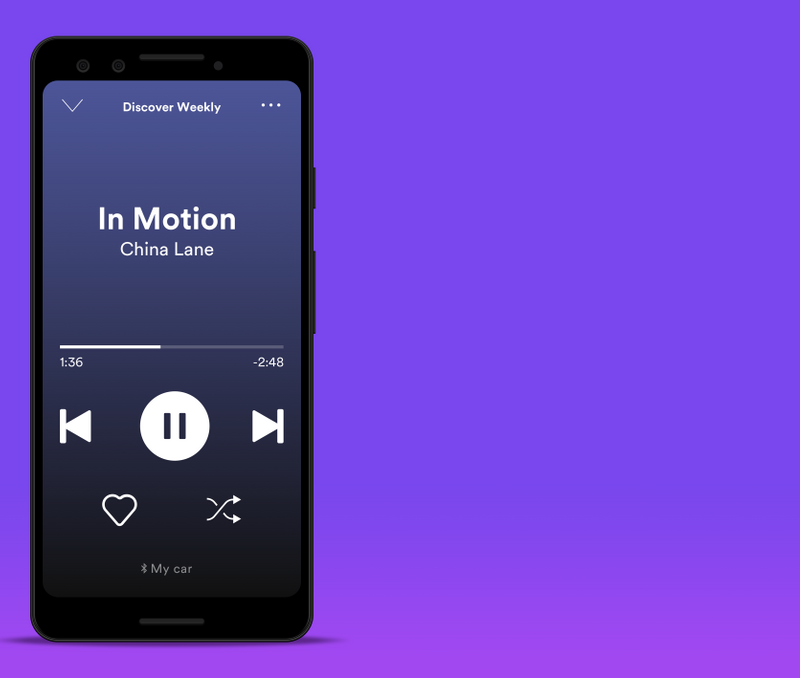 Instead of the normal Spotify UI consisting of album covers and buttons to dive into playlists and radio stations, Car View consists of just a song title and artist name, plus big white buttons for Play/Pause, Next, Back, Heart, and Shuffle. Spotify says Car View is rolling out right now to all users, so head to Google Play and grab that update.